HomeDelivered.com provides free home delivery of adult incontinence products like adult diapers and adult underwear on orders over $25. 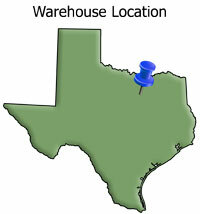 Our warehouse in Dallas delivers anywhere in Texas in 1-2 business days. HomeDelivered.com provides free home delivery of adult incontinence products like adult diapers and adult underwear on orders over $25. Our warehouse in Grapevine, outside Dallas, delivers anywhere in Texas in 1-2 business days. Our family created Home Delivered to provide high quality products traditionally used in long term care to people at home, which means healthier skin and a better quality of life. If you need any help choosing a product, please call us at 855-881-2196.